Askanya: Can This One Chocolate Startup Put Haiti Back on the Map? 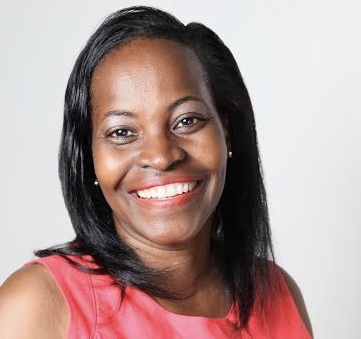 The idea of starting a successful business in Haiti is laughable to many, but Corinne Joachim Sanon Symietz, the Chief Executive Officer of Askanya, is not laughing as she redefines the business landscape. Like most successful brands, the company is building a reputation of high quality and excellence. From the packaging to the ingredients, the care of the chocolate and the customer service, Mrs. Symietz and her team have set the bar high. You see, Mrs. Symietz has an industrial engineering degree from the University of Michigan and an MBA from the Wharton School of Business at the University of Pennsylvania. She has worked at L’Oreal and Accenture—two top firms in the U.S.
By all means, with Mrs. Symietz’ background, she should be in corporate America working to earn at least a six-figure salary. Instead, she decided to bet on her abilities, her convictions, and the change she envisions for Haiti. Mrs. Symietz co-founded Askanya with her husband, Andreas Symietz, and her friend, Alexandra Lecorps. As is often the case with an evolving startup, Ms. Lecorps eventually sold her shares of the company. They have created the first bean-to-bar organic chocolate startup in Haiti. Why invest in cacao to create a startup? Mrs. Symietz did her homework. The cacao crop “arrived on Hispaniola, the island Haiti shares with the Dominican Republic, in the mid-16th century,” Maria Godoy from NPR informs us. Further, the World Agroforestry Centre tells us that there are three types of cacao. The Forastero, which produces beans with the strongest flavor; the Crillo, which produces a rich red bean and is grown in Indonesia, Central and South America; and the Trinitario, which is grown mostly in the Caribbean area and in some countries in Africa. During her research, Mrs. Symietz discovered that Haiti was supplying its high quality cacao to some of the leading chocolate-producing countries in the world—including France. When Mrs. Symietz recognized that the romance capital of the world is using one of Haiti’s agricultural treasures, she saw its potential and began her efforts to determine if her business idea was viable—and it was. How did the Askanya team execute their plan? Mrs. Symietz moved forward to put the company structure in place. She and her husband each own 41% of the company, and Mr. Gentilé Sénat owns 18%. I recently interviewed Mrs. Symietz and asked how she managed to execute her chocolate company’s idea in five months—a record time by Haiti’s business standards. She was candid in discussing numbers with me. With her permission, I am going to walk you through some of her executive decision-making that led to Askanya opening its doors. If you’re serious about starting a business in Haiti, here’s someone from whom you can learn—someone who’s actually done it. The best indication of how serious you are in starting a business is how much of your own money you’re ready to invest. In fact, it’s one of the factors that venture capitalists look for before they even want to meet you, if you’re looking for capital. What was the upfront cost to take Askanya off the ground? To answer this question, Mrs. Symietz and her partners had to decide on what kind of product they wanted Askanya to be known for. Did they want to serve the low-, middle- or high-end market? They decided on the high-end chocolate market— which led us to discuss the startup capital for Askanya. The partners invested a total of $160K of their own money to start the company, and they have a payment plan with several contractors for 20K. As of this writing, the partners have repaid all but $9,000 of the $20,000. It helps to speak the language and to understand the culture of where you do business. Mrs. Symietz had to work with the Direction Générale des Impots (DGI)—Haiti’s equivalent of the U.S. Internal Revenue Service. DGI wanted to charge Askanya $35,000 in taxes on their seed money, thinking it was revenue. After much discussion with the officials, the actual amount was reduced to under $700.00. The partners also had to pay initial attorneys’ fees of $3,000 for paperwork. Mrs. Symietz did not need to purchase a piece of land for Askanya. Her grandparents supported the project by providing their home, and the Askanya team paid to convert Mrs. Symietz’ former childhood home into a beautiful, colorful chocolate factory. Next, Mrs. Symietz had to factor the cost of keeping the chocolate cool in a country where electricity is scarce and sporadic. How did she manage that hurdle? She spends on average $1,500 per month on energy bills. In Ouanaminthe, where the company is located, the government provides electricity daily only from 6pm to midnight. How did Askanya ramp up its cocoa company in Haiti to produce a certified organic product that meets international standards? Mrs. Symietz went to Portland, Oregon with her head of production in December of 2014, to attend training on chocolate making. She didn’t stop there—she also hired some chocolate consultants from the U.S. and France to travel to Haiti to help establish the premium chocolate company. Having a fantastic product and a vision can be useless if you don’t have the right team in place, a team that buys into your vision. Show me a successful company, and I’ll show you a culture where talents are valued. Such is the philosophy of the Askanya team. To set the company on a path to success, Mrs. Symietz hired a professional team of Haitian HR consultants. She has been and continues to be involved in every step of the interviewing process. She uses radio advertisements as a primary recruiting source. For her first recruitment campaign, over 200 people applied for the 10 positions she needed to fill. Askanya has the potential to put Haiti on the map, both as a cacao brand and as an economic engine. One sure sign is when you have created a superior product that’s selling to the point where investors are beginning to give you money. During one of our conversations for this piece, Mrs. Symietz shared the news about the $50K grant she received for Askanya. After less than two years, her company is getting that kind of notice and money. The team at Askanya has plans to introduce two new flavors in late August or early September of this year. Moreover, the points of sale for distribution keep growing. A year ago, she had 20 points of sale in Haiti and a few in the United States and Canada. Today, as I write this post, Askanya is currently being sold at 30 places in Haiti where orders are consistent. She described the breakdown of sales as follows: 70% of the chocolate is sold in Haiti. Of that amount, 60% is B2B and 35% is B2C. In contrast, the U.S. consumers buy her chocolate at the highest rate, though the B2B part is growing, as she continues to build the brand in the U.S. I am all about highlighting these wonderful efforts. Mrs. Symietz just landed a partnership that will allow her to sell the Askanya chocolate in an outlet in the center of New York’s financial district. The potential economic impact on Haiti was a driving force for starting the company. Yes, Mrs. Symietz wanted to make a profit, but she also wants to elevate the Haitian people’s economic conditions. The company does this by providing a dignified wage to its employees. At present, Askanya has nine full time employees. The head of production, for example, earns a base salary of about $5,000, plus commission on production of $2,500 per year. According to Mrs. Symietz, this amount will keep growing with production. What is more, her company provides communication stipends, food stipends, and per diems when employees are on company business, as well as transportation fees. If you think those numbers are minimal, let me tell you a secret about Haiti’s poverty: most Haitians make an average salary of $820.00 per year— and this is not a typo. Already, Askanya employees are earning more than five times the national average salary. This is one reason why Haiti needs more startups like Askanya. During one part of our conversations, we discussed the potential for Haiti’s economy to change if more companies created jobs that pay Haitians an average annual salary of $7 -$20K. Being a numbers wiz, Mrs. Symietz calculated that if Haiti had 500,000 people earning this type of salary, the country would begin to see concrete changes. Askanya is keeping 3,000 farmers busy while earning livable wages for their families. Mrs. Symietz works directly with a farmers’ cooperative called Fédération des Coopérative Cacaoyères du Nord (FECANNO). By the same token, she hires about 25 contractors for different services. Some of those include translators, marketing people, the factory caretaker, etc. Why should you support this first high-end chocolate company in Haiti? If you’ve been reading this blog long enough, you probably think that I’m biased when it comes to Haiti, but that’s not completely true— well, I confess, it’s mostly true. The reality is, I don’t write about every Haitian product. I need to believe in what the company is trying to achieve. I had a chance to meet Mrs. Symietz at a Starbucks on the Upper West Side of Manhattan for part two of the interview. She brought some Askanya chocolate for me to sample, and all three flavors were rich in flavor and absolutely delicious. I was proud to know that the chocolate is made in Haiti. If you live in Haiti, you can find her gourmet chocolate in 30 retail places throughout Port-au-Prince and in the North. Askanya also has an online store; it takes one to two days for delivery in Haiti. If you are in the U.S. it will take you two days to receive your order, and in Canada, it will take five days. Though 100 percent of the company’s operations are in Haiti, Mrs. Symietz has a small distribution center in Brooklyn, New York. What would this post be if I didn’t ask Mrs. Symietz to share some of the lessons learned during this journey? Do not compromise on the quality of your product. Quality will set you apart. Do not pay or accept a bribe from anyone, and don’t let anyone around you pay or accept one, either. Make sure you get three quotes whenever you need the services of a vendor. Hire the most qualified talent(s) – most likely not your friends and family. Last, there is no guarantee for success, but if you follow these guidelines, you’re closer to building a successful business where investors want to give you money. Your turn: Do you plan to start a business in Haiti? What other questions would you have for Askanya founder, Mrs. Symietz, if you had the chance? Tell me in the comments section below, and maybe I can do a part two. Corrections: The Askanya team initially invested $160K of their own money, not the total 250K that was previously stated. Also, the team did not pay the $35,000 dollars DGI asked for. After much discussion, they actually paid $700.00. Moreover, the HR consultant was from Haiti, not the U.S. as it was indicated.